Photo: Bricolage 108. Creative Commons BY-NC-SA (cropped). What is good, clean and fair, and doesn’t cost the Earth? The answer is ‘Slow Food’, according to a growing number of people worldwide. 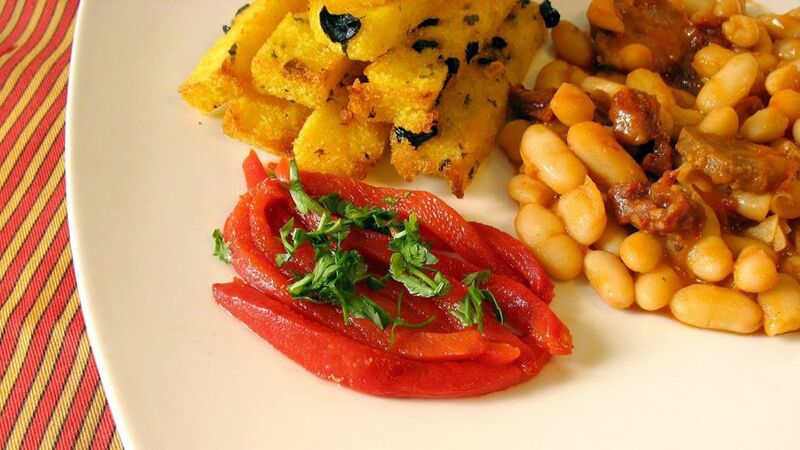 The Slow Food movement originated in Italy in 1989 as a response to the growth of fast food and other changes in the food system worldwide, of which Our World readers are well aware. After 25 years the movement now boasts millions of members from more than 1,500 ‘convivia’ (local chapters) in more than 150 countries. Members are typically chefs, farmers, fishers, activists, academics and producers — anybody with a passion for food. Slow Food’s primary missions are to “prevent the disappearance of local food cultures and traditions, counteract the rise of fast food and fast life, combat people’s dwindling interest in the food they eat, where it comes from and how our food choices affect the world around us”. It is evidently a pretty broad quest, but well explained under the more general terminologies of “good, clean and fair”, defined here. In satisfying the themes of “good, clean and fair”, producers and products do not necessarily have to be certified “organic” or “fair-trade” for example, although these traits are desirable. Neither does the word sustainability make a headline appearance. Good treatment of the Earth and people is assumed within the organization’s philosophy — a philosophy that rejects the idea of food solely as a commodity but rather views food biodiversity as emblematic of the world’s cultural diversity, which it also seeks to protect. 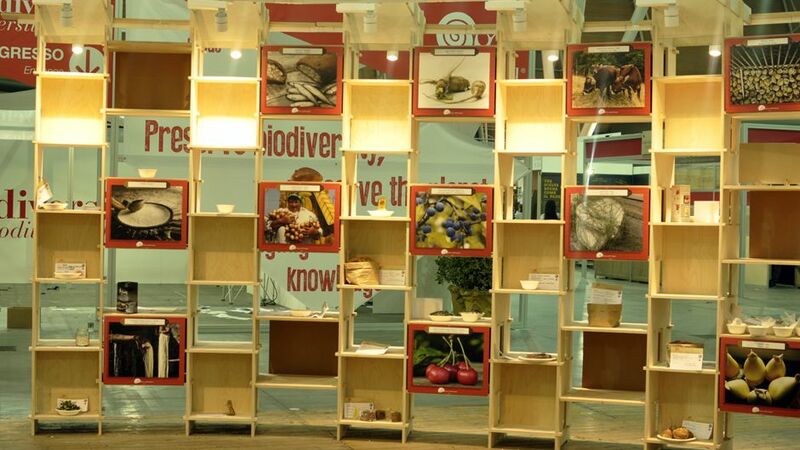 The global network of “slow foodies” gathered at the 2014 Salone del Gusto/Terra Madre conference, held in Turin, Italy from 23 to 27 October. The event is an amalgam of two previously separate events: Salone del Gusto, an Italian based food festival bringing together more than a thousand Italian small-scale producers; and, Terra Madre, a biennial space for an international network of small producers from potentially over 170 countries to connect with each other, debate the issues affecting their livelihoods and display their produce to an international audience. It all sounds pretty standard for an international movement — meet, greet and eat. In truth, however, nothing quite prepares you for the scale and intensity of this gathering. The conference brought together more than 3,000 delegates from 120 countries and more than 220,000 Italian and international visitors over the five days. There were more than 1,500 stalls promoting and selling all manner of food products including cheeses, cured meats and pastas (after all, it is held in Italy) and an endless list of oils, pulses, jams, vegetables, fruit, seafood, alcohol — the list goes on. Accompanying these stalls were a series of seminars, cooking workshops and presentations, networking meetings, movies, theatre and open debates on topics as diverse as “Insects and Weeds on our Plate” to “Korean Temple Food”, “Ethiopian Honey” and “The Role of Ice and Temperature in Cocktail Making”. “You are the intellectuals of the Earth and the sea,” Slow Food founder Carlo Petrini told Slow Food members at the 2014 Salone del Gusto/Terra Madre. In five days of pacing up and down the throng of eaters in the four massive exhibition halls, taste workshops and conferences, it was impossible to spend quality time at more than a fraction of them. You missed seeing and eating many more things than you saw and ate. The key to making the most of Salone del Gusto/Terra Madre (for future reference) is to pace yourself, choose your events and conversations carefully and strategically imbibe the odd stimulant (coffee of course, and a sample food or drink) to get you through the next few hours. Typically the day starts by 11 a.m. and finishes well beyond dinnertime. The Terra Madre exhibition with Ark of Taste in the background. Photo: Alva K. Lim. Perhaps ironically, given the organization’s “Slow” mantra — in addition to Slow Food there is “Slow Fish”, “Slow Kids” and “Slow Money” among others — the event was probably the fastest pace imaginable. The Italians deserve credit for mobilizing more than 900 volunteers, Slow Food staff and hundreds of partner organizations, not to mention the thousands of delegates who stayed in and around Turin for the week. The musically-charged opening ceremony held on the evening of 22 October turned out to be a kind of ‘food Olympics’ with leading delegates entering into one of Turin’s winter Olympic arenas waving the flags of their country. Over the years the Salone del Gusto and Terra Madre events (amalgamated for the second time this year) have attracted several high profile speakers including Prince Charles of the United Kingdom, Vandana Shiva and this year British chef Jamie Oliver. This year messages of support were received from Pope Francis and the United States’ First Lady Michelle Obama, who is well known for her passion for school gardens and the White House Kitchen Garden. 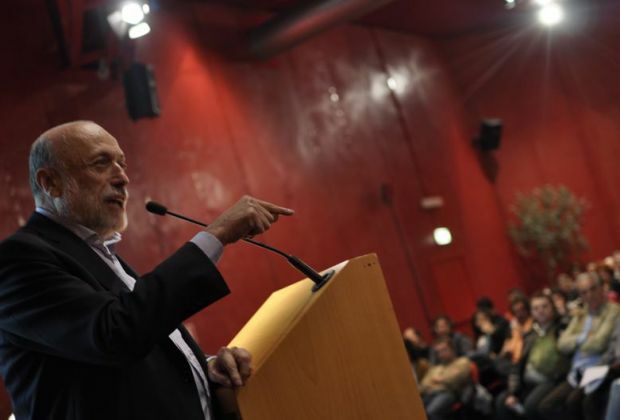 Founder and President of Slow Food, veteran Italian activist Carlo Petrini, in his role as motivator-in-chief, told members attending that they are “the intellectuals of the Earth and the sea”. Then a select number of delegates from all continents shared their stories of success in protecting their products, as well as their ongoing challenges in confronting industrial farming, natural disasters and climate change. Beyond the talk for a fairer, cleaner food system, Slow Food has also ‘walked the talk’, taking concrete action to protect the agrobiodiversity of natural ingredients and the array of the globe’s traditional, culturally-significant food products through a unique initiative entitled the Ark of Taste. The Ark ‘travels the world’, metaphorically, in order to first identify and then promote and safeguard “small-scale quality productions that belong to the cultures, history and traditions of the entire planet” for continued use by future generations. A shelf of endangered products that have made it aboard the Ark of Taste. There are more than 2,000 successfully nominated products so far. Photo: Alva K. Lim. The Ark, the first major focus of the 2014 gathering, intends to safeguard 10,000 products that are in “danger of extinction” by the year 2018. Opening ceremony attendees heard how there are currently more than 2,000 products from 108 countries that have been identified and catalogued. These and thousands of more potential Ark products were presented in an impressive 600 square metre display choreographed in the shape of an ark. During the course of the event delegates and attendees added their own products to the displays and nominated these for approval by the Ark’s various committees in the near future. Practically, their continued production and sale at the global level through Salone del Gusto/Terra Madre might save them from extinction as word about their existence spreads throughout the Slow Food network. New Ark products can be nominated here. The second of this year’s two main themes for the conference is family farming. It might be surprising to know that 85% of farms worldwide are family farms. The prominence of family farming is reflected in the fact that the United Nations has declared 2014 as the International Year of Family Farming. Speaking passionately at this year’s conference, Founder and President Carlo Petrini exclaimed that “at long last they’ve understood it at the FAO”. You can find more about Petrini’s thoughts on Slow Food in this interview published by Our World earlier in 2014. Speaking passionately at this year’s conference, Founder and President of Slow Food, veteran Italian activist Carlo Petrini exclaimed that “at long last they’ve understood it at the FAO”. Photo: Alva K. Lim. While the Food and Agriculture Organization of the United Nations (FAO) is now openly supportive of smallholder organic farming as the sustainable way forward for international agriculture, most national governments are pursuing policies that favour multinational corporations land-grabbing large tracts of land for industrial, mono-cultural production. A ubiquitous challenge identified during the speeches of the opening ceremony and evident during the five days of wandering around the food stalls is how to engage youth in the business of family farming. It seems that young people everywhere and from every country are interested in food. There are a plethora of television programmes, blogs and even university courses dedicated to food. But how many young people will use their education to grow food in the same way that their parents did? It is clear from the physical interactions and monetary transactions at Salone del Gusto/Terra Madre that likeminded citizens from all over the world are linking into Slow Food as a way to protect their food products, culture and economic livelihoods. Buying Slow Food approved products — voting with your fork — is a direct way to protect biodiversity. Yet it is not all smooth sailing for the Ark of Taste and the organization’s other initiatives. The Slow Food movement faces strong resistance in infiltrating fast food cultures, which are still growing, especially in the developing world. The movement has an uphill battle against the powerful corporate and government forces enabling industrial agriculture that remains the bedrock of cheap, food-like substances that many people depend on, even if it is processed and unhealthy. There is always a risk at such events that people are preaching to the converted — naturally most people at the event already believe in the cause of sustainable food. So, new constituencies have to be developed, and traditional media, government partners and the private sector have to be part of the strategy to reach a critical mass. The politics of food are not straightforward and any growing organization can be accused of moving away from its initial platforms. In its growth and in partnering with several corporate sponsors, including Lavazza Coffee, it has to be careful that its sponsors too adhere to the “good, clean, fair” mantra that Slow Food depends on. In the case of coffee, Slow Food must weave its partnership with Lavazza through its long-held support for Ethiopian coffee producers, dozens of whom attended with support from Slow Food, and vice versa. Perhaps ironically, given the organization’s “Slow” mantra — in addition to Slow Food there is “Slow Fish”, “Slow Kids” and “Slow Money” among others — the event was probably the fastest pace imaginable. There are also some tensions between the organization’s high profile support to many producers in Italy (thousands upon thousands displayed and sold their cheeses, cured meats and sweets in three giant exhibition halls) and its support to producers in developing countries. At one of the taste workshops on “Traditional Cheeses of the Mediterranean”, European Union (EU) restrictions prevented producers from Lebanon, Egypt and Tunisia from bringing their cheeses into Italy for phytosanitary reasons. Many of these producers from the Global South continue to face challenges selling their produce to wealthier markets. In contrast you can find Italian and French cheeses, for example, on display in almost any stable country, particularly in upscale supermarkets. Those food activists in the West should acknowledge and act on these double standards. Admittedly a big effort has been made by Slow Food to include African delegates and support the continent’s food producers through the 10,000 gardens initiative. More could be done, however, to balance out the Italian-centric nature of the organization over the long term in order to reach a critical mass of people in emerging markets, many of whom have already outgrown, or in the coming years will outgrow, Italy (China, India, Indonesia, Nigeria, Brazil etc.). Changes could include using more English or international languages (Spanish or French for example) on Slow Food displays, booklets, etc., and including more panelists from the Global South, especially producers. 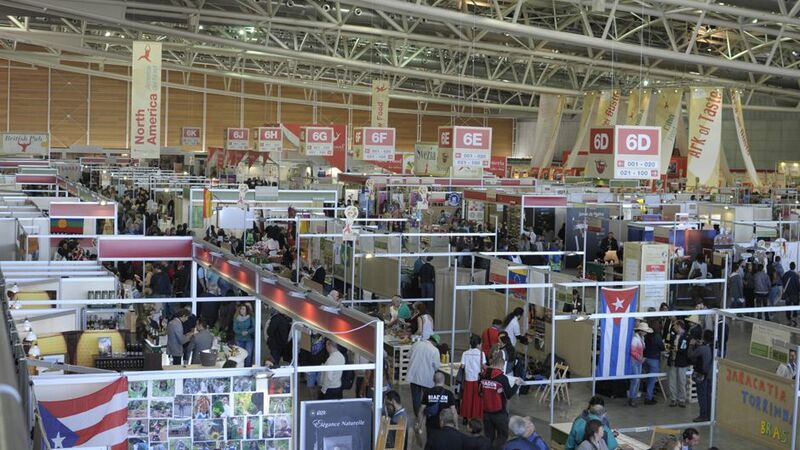 It would be a bold and visionary move to organize a combined Salone del Gusto/Terra Madre in another country in the future, in the same way that taking Terra Madre to Puebla in Mexico in 2007 was. Such a move will increase the chances of people in emerging economies adopting or re-adopting Slow Food values, instead of following many developed countries into a fast food culture that is not good, clean or fair. Mark Notaras is a member of the Sydney Slow Food convivium and accompanied the Australian delegation to the 2014 Salone del Gusto/Terra Madre. The views expressed here are his alone and not those of Slow Food or any affiliated organization. Slow Food Movement Growing Fast by Mark Notaras is licensed under a Creative Commons Attribution-NonCommercial-ShareAlike 4.0 International License.